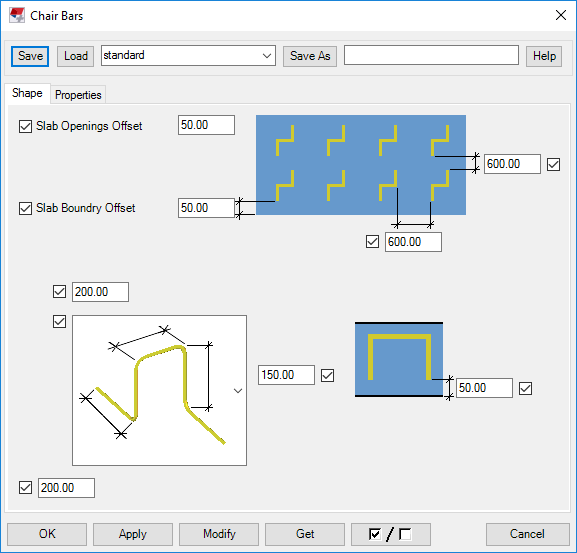 This plug-in allows to create chair bars in selected slabs / specified region. It arranges chair bars based on input directions. This tool contains option to exclude intermediate beam portion, openings and specified regions. Plugin is a .dll file and loaded inside Tekla Structures process. Plugins can be started from the applications and components catalog. 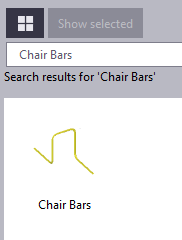 Click the icon ‘Chair Bars' from 'Application and Component'. or Slabs and press middle button to finish selection. 2) There is a prompt to confim the selection of specific region. If you opt 'Yes' for the above prompt then you need to define the polygon region. 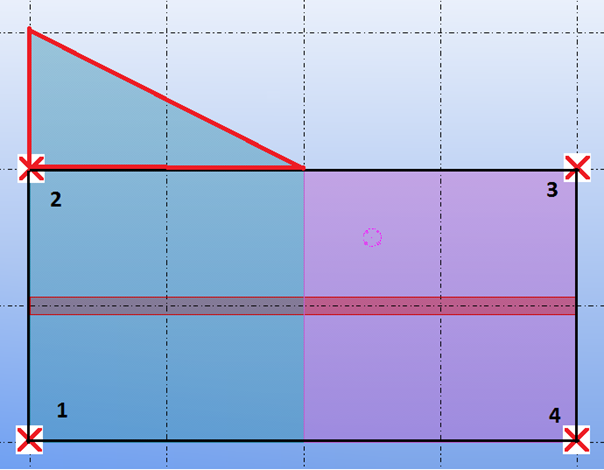 To complete the polygon selection, press middle button or pick same position of first point of polygon. In above example if you pick four points, chairs bar will be arranged only in the black region and the remaing red region will excluded. 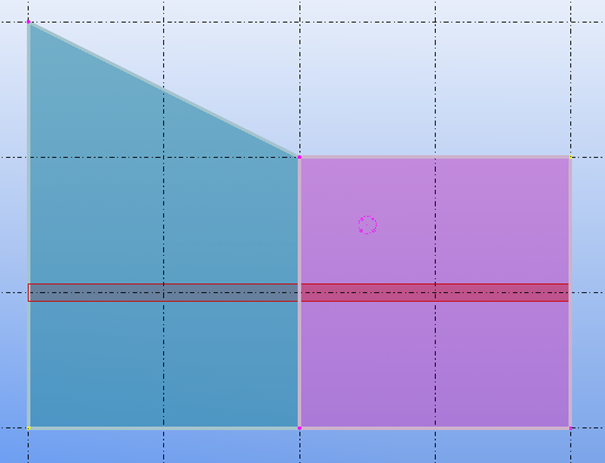 If you want reinforcement through out the picked slabs then you can discard this input by picking the same point twice. 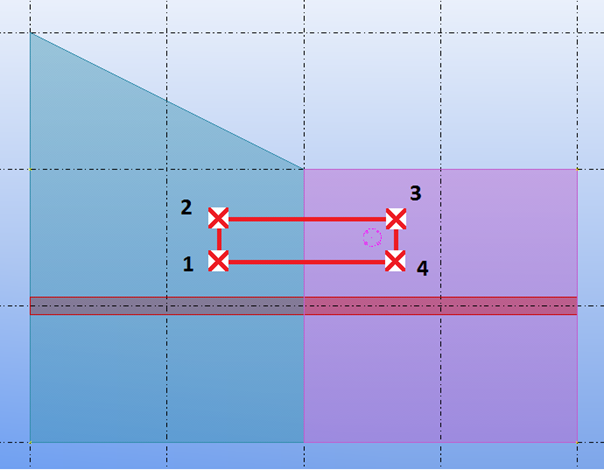 3) Pick two points to define the direction for placing chairbars. 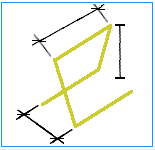 4) Pick the intersection parts where the chair bars are not to be placed. Press middle button to finish selection. In above example there is a beam running below the slabs and we don't want reinforcement in that area, in those cases we can use this input and select those parts to exclude the reinforcement. if you don't have any then press middle button to discard the input. 5) There is a prompt to confim the selection of specific region(s) to exclude. 5a) If you opt 'Yes' for the above prompt then you need to define the polygon region. In above example for some reason you don't want reinforcement at that particular area, then you can use this input to pick polygon to exclude that area. 5b) There is a prompt to confim the selection of another specific region to exclude. This prompt appears until you opt for 'No'. 5c) If you opt 'Yes' for the above prompt then you need to define the polygon region as like in step '5a'. 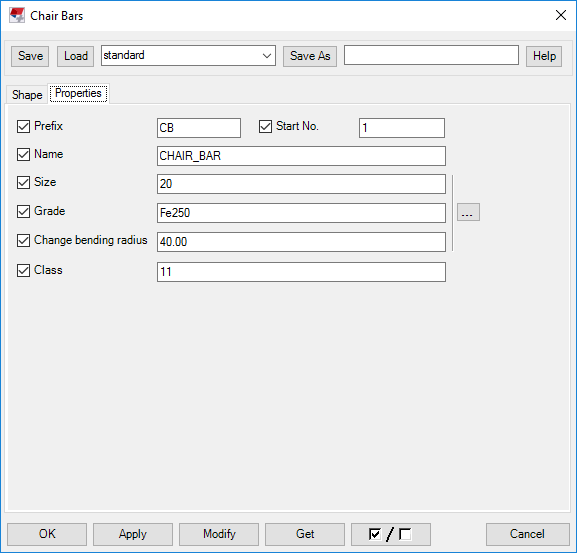 You can select the chair bar Shapes, change dimensions, spacings of chairbars and cover value. Boundary offset: Offset value from edge of slab to arrange chair bars. Distance between adjacent bars: Horizonatal and vertical distances between chair bars. Bottom Cover (Offset): Cover value from bottom of slab to place chair bars. You can change the reinforcement properties and attributes. 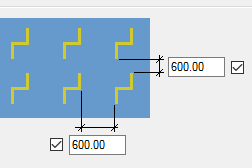 Plug-in won’t work for Circular Slabs and chamfered Slabs.